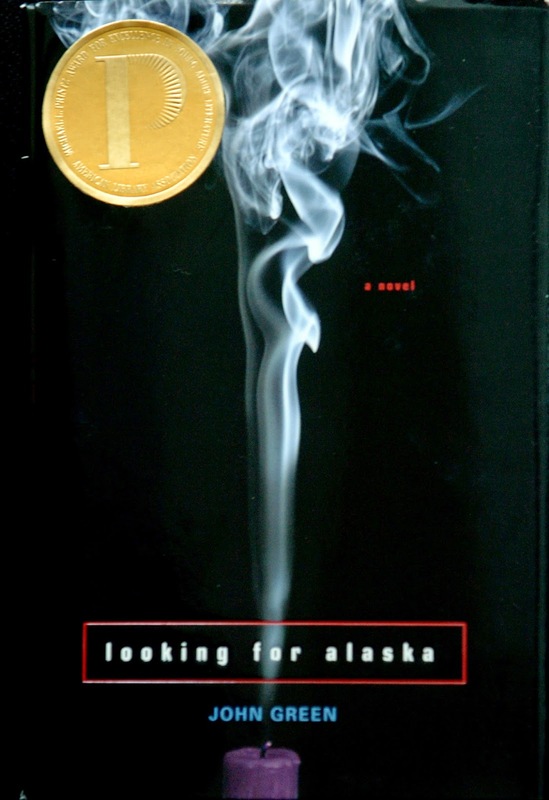 I’m all for twists in movies and books, but the one halfway through John Green’s Looking for Alaska still has me questioning one character’s motivation. Upon his arrival at Culver Creek, he meets his new roommate Chip Martin, nicknamed the Colonel, who, in turn, assigns Miles his new tag “Pudge.” From there, Miles meets Takumi and Alaska Young. He feels an instant attraction to Alaska even though she readily admits that she has a boyfriend. For the first half of the book, we watch a cat and mouse game between Alaska’s flirtatious personality around Miles, and Miles’s inability to reconcile what Alaska represents. In the background of Alaska and Miles’s back-and-forth drama, the Weekday Warriors, students who are rich enough to go home on weekends, take Miles, duct tape him, and throw him in the lake. So begins the competition to out prank the Weekday Warriors and prove dominance. Miles doesn’t appear to care much about the Colonel’s desire to outwit the Warriors, but he follows along because really, this is the first real friend he can claim. Amidst pranks and studying for classes, and growing tired of Alaska’s mood swings, Miles begins to date Lara, a Romanian student who is very sweet and does pretty much everything for Miles. The relationship never goes anywhere, and Miles selfishly strings Lara along for much of the first half of the book. As readers, we feel bad for her, but she has to realize she’s just a pawn, and often we forget that she’s even present. Before the turn halfway through the book, Alaska, completely wasted, dares Miles to make out with her, which he does, finally. At this moment, I felt a sense of relief that Alaska finally stopped being a tease and let the good guy win, even for a moment. And then…it happens. Without spoiling the book for those of you who haven’t picked it up yet, let’s just say that I was very shocked, and I’m usually pretty good and predicting twists. From that moment, the novel picks up speed and takes its reader on a CSI-type investigation into “the” incident. Here we see that each character who appeared, not necessarily shallow but lacking in development, becomes more than a complicated teenager. Bonds are made stronger through the confusion of what happens, and Miles realizes that “The Great Perhaps” and memorizing everyone’s famous last words means nothing if you can’t understand a person’s life and the choices that person makes that changes everyone else’s.